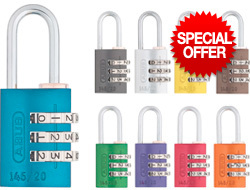 If you want keyed padlocks then you MUST buy a high quality brand. The ones in our low cost section will not be suitable. This is due to the high number of key repeats in a batch. 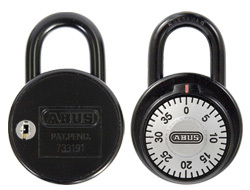 We tend to advise that a padlock made by the German company ABUS should be used for lockers to ensure there are enough "differs" to negate the problem of key overlapping. 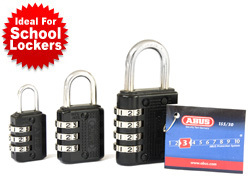 Many schools have bought lower cost locks elsewhere and ended up having to replace all their locks with new ABUS types from us after problems with theft. 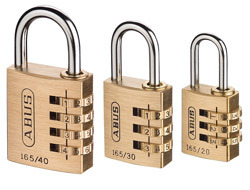 If you decide to go for a combination padlock then once again you must choose a high quality type. Whilst all combination locks can be picked with a degree of skill, the lower cost versions are much more susceptible, especially in a school environment when children challenge each other. The locks we have listed below have all been tested to meet a minimum standard against this problem. Standard combination padlocks are rendered useless if the code is forgotten as the reset function only works when the correct code is input. With our pateneted Code Discovery padlocks, if the code is forgotten, then it can be opened with the master key and then the combination can be found quickly and easily to allow a new code to be input either for the same pupil / colleague / memeber or to be reissued with minimal administrative fuss. 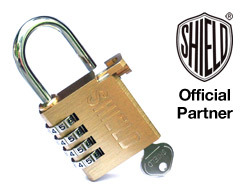 We are the official distributor for Shield. Excellent for lockers in the 30mm or 40mm size since they are very light weight and have a very high differ number which makes it nearly impossible for someone else to have the same key. The standard open shackle Titalium lock is the most popular in the range and will eventually replace the ABUS 65 and 85 series brass padlocks. The same high quality mechanisms are built into this new improved body. Available in five of sizes from luggage and lockers (20mm body) up to gates and doors (60mm body). 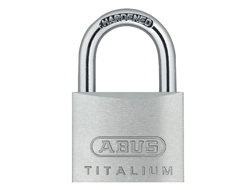 We are now the only company in the world to offer the new Titalium Padlocks in a masterkey format. 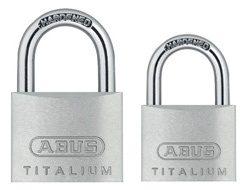 You can now have multiple locks which can be overridden with a single masterkey but with the strong and light weight of Titalium! Unbelievably they are also cheaper due to the lower cost of aluminium alloys in recent years! Stronger, Cheaper and Lighter! 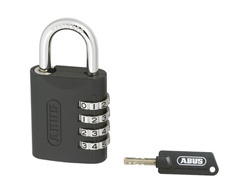 The latest combination lock by ABUS with a masterkey but with the added advantage of being able to reset the code with the key even if it has been forgotten! This is an added function over the Shield Masterkey Combination locks but you pay a higher price for the privilege. A combination padlock with a Master-Key override making it ideal for schools, colleges and gyms where access is needed in the event of a forgotten code or an emergency. The dial mechanism offers a huge 64,000 possible combinations. This range has gone through rigorous testing and as such has been approved by the Ministry of Defense, which makes these solid brass padlocks one of the best on the market. 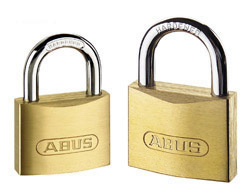 Our best seller is still the unrivaled ABUS 65 Series brass padlock. The highest quality brass, non-corrosive internal mechanisms and the largest number of differs make it the best brass padlock on the market. Available in 5 different sizes at 65/20, 65/30, 65/40, 65/50 and 65/60 model numbers. If you're unsure if you need this version or our weatherproof marine model below, then please read our guide first. 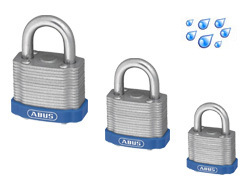 We feel the ABUS laminated or 'Eterna' locks are the best all round padlocks which give the perfect compromise of quality, security and price. Now we are the only company to offer these in a master key option! 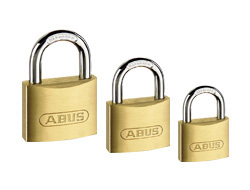 The same high quality brass padlocks from ABUS but in a master key format. 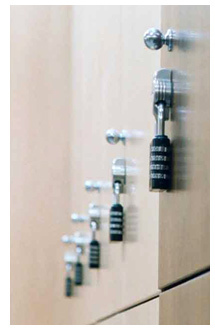 They are the ideal lock due to the unusually high number of different key variations, making them ideal for lockers or any situation when numerous locks will be used.